I am writing to you tonight because I think you deserve an explanation from me. The three of you are upstairs asleep, and Daddy is putting Anson to bed by telling him stories about living in the flat, canyonlands of southwest Idaho. I hope they will read this letter too, but I am directing this at you. And I am going to publish it before you ever get a chance to read it, but I think you'll know why. One day you'll probably hear the name Kate Kelly. And you'll probably ask me my thoughts about her and her work with Ordain Women and her subsequent excommunication. Because this is a conversation we'll have some time in the future, I want to write my feelings now as this event is current. Kate's work with Ordain Women started two years ago, her excommunication came last month--the effects of which are being felt in a huge way tonight as I write this letter. First, you should know I did my homework. I researched and asked questions and showed up to events so that I could be informed. And this is how it happened. I met Kate in a funny way. At the very first Ordain Women gathering I decided to go and check it out. I had several experiences I would call spiritual that lead me to believe that ordaining women would be a beautiful, wonderful thing for our church--both for women and men. So when I heard about this group from a media email they sent me, I decided to attend. Aunt Page was really great, and offered to watch you (well, not you Iris because Heaven was watching you) while I drove up to the University of Utah for the gathering. I happened to get there really early (and you know, I'm never early) and anyway, I found myself in the room with Kate Kelly almost alone before anyone else showed up. We introduced ourselves and I said to her, "You're really brave" and she looked around at all the empty seats and said, "Thanks. I have butterflies." And that was it really, then a flood of people started coming into the room until it was standing room only. Kim Raff | The Salt Lake Tribune (from left) University of Utah professor Margaret Toscano talks with (middle) Stephanie Lauritzen, organizer of "Wear Pants to Church Day", and blogger C. Jane Kendrick before the Ordain Women, an organization advocating faithfully for the ordination of Mormon women to the priesthood, official launch event in the Union Theatre on the University of Utah campus in Salt Lake City on April 6, 2013. I loved the meeting. There was revival and rejoicing but it had those Mormon pioneer vibes about it. I found myself wishing Relief Society was more like that meeting. Women stood up and bore testimony while expressing genuine emotions and human reaction. There was a lot of love in that room. We sang songs and said prayers and talked about foremothers reaching as far back as the Old Testament. But I decided not to post a profile on their website, mostly because I wasn't ready to be public with my feelings. And I didn't know how I wanted to portray those feelings. It felt good to me to keep them in my heart. Six months later my friend Sarah talked me into going to the Relief Society General Meeting with her, we took Frontrunner up to Salt Lake City. Our tickets put us in the balcony in the conference center full of twenty thousand women. Twenty thousand! When I sat down my nose started running and as I rummaged through my purse for a tissue a nice sister seated two seats away from me handed me a tiny little bit of a napkin. She said she was a reader of my blog and said some really sweet things to me. She was there with her mom (seated next to me) and as I introduced myself I felt like there was something going on that was bigger than I understood. And then sometime during the meeting, as her mother was taking vigorous notes and she was watching intently to the speaker, I knew what was gong on. They were Kate Kelly's sister and mother. Isn't that weird? I just knew them, like I had always known them, even though I didn't know them at all! Then, during the rest hymn I asked, "Are you Kate Kelly's mother and sister?" And they said, yes. I had so much love for them. This may seem sorta silly, the emphasis I am putting into this meeting, but it was really mind blowing to me--that out of all those women I was seated next to them. At the time I really felt like it was a sign from a loving God--not a sign to do anything, but a sign that he put us together that night so that we could love and encourage one another--which we did after the meeting. 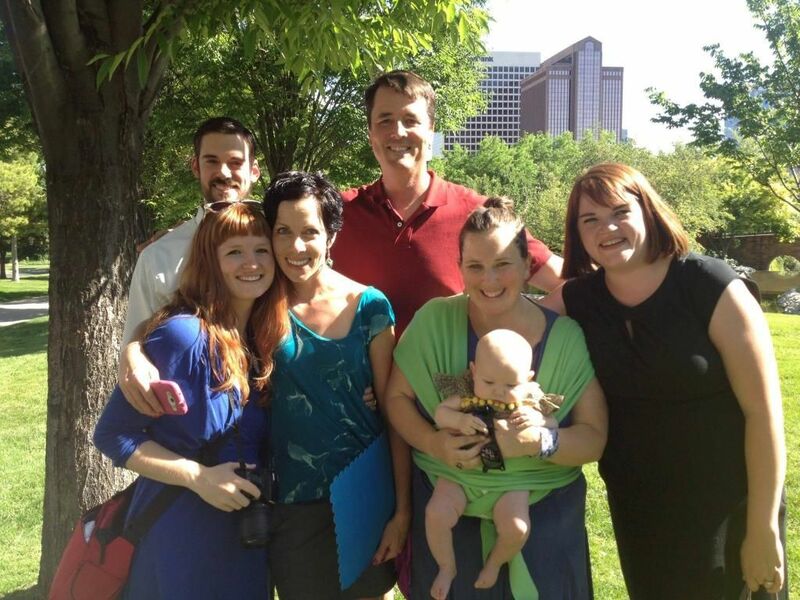 Two years later, I went up to a vigil in Salt Lake City for Kate as her disciplinary council was being held in Virginia. Iris, you came with me this time. It was like a huge family reunion. So many people I loved were there--and we were lucky to meet many new people to love as well. We sang and prayed and supported one another. Like that first meeting, Kate was there (probably with butterflies) and many of us talked about hope. A lot of hope. Second, I want you to know I have a soft spot in my heart for people who bravely live what they feel is ethical and moral, even when it isn't shared by most of their religious community. I have known many powerfully spiritual woman in my lifetime and most of them are Mormon feminists. Many of these women I met after I had you, Erin. I have been taught by them and loved by them. The closest I ever felt to Jesus was when sweet Joanna Brooks cupped my face in her hands and kissed my cheeks. Someday I will share with you some of the deep, beautiful experiences I have shared with my Mormon feminist friends. 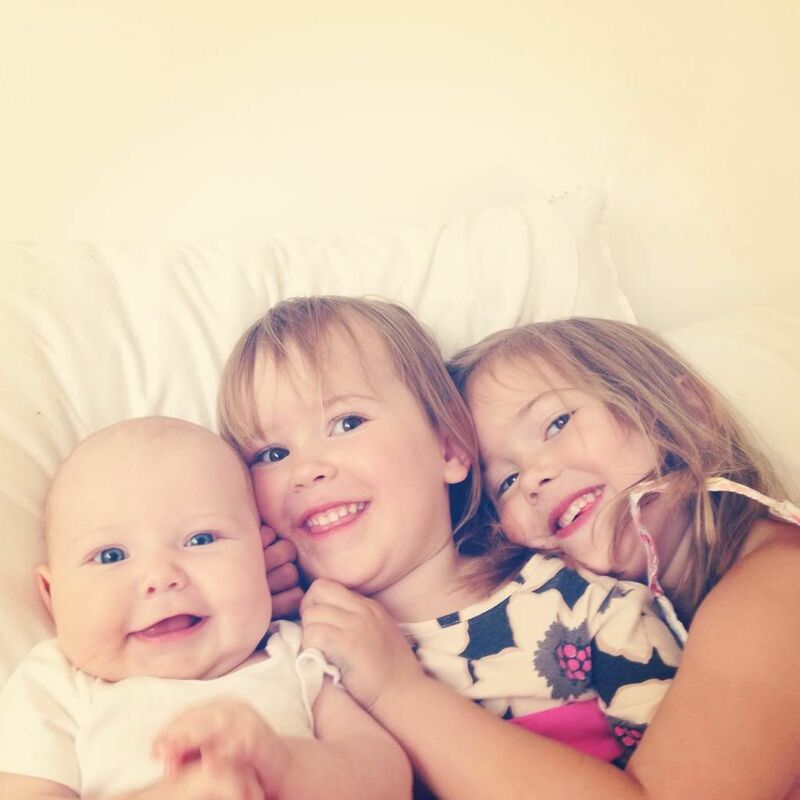 I owe them much--they awakened me and brought me out of my stupor of thought. Through them I learned how to heal what made me angry. I learned to feel peace through being proactive. I want you to know that through the same channels that I felt I should go on a mission, or marry your dad, I also felt like I should pray and hope for women's ordination. I do hope for it. For me and for you and for our favorite person (and neighbor) Jessica and Maya and Mac and even Umi. I pray for it all the time. I pray for it because God asked me to pray for it. I pray for it because I think ordaining women is a wonderful, progressive, positive, inclusive idea. I pray for it because it will give women AND men more opportunities to serve in more capacities. Right now, women can't marry people in the temple and men are not Primary Presidents. But I know some women who would make poetic temple sealers and I know men who would make the best Primary Presidents. I know women who would be incredibly insightful patriarchs (but we'd have to change that name!) and men who would be amazing compassionate service leaders (hint: your father). While at the same time, I DO think it's important for men and women (and young men and young women) to have their own time of gathering together with their leaders. I don't want all of church disregard to gender entirely. There is a great benefit to being together as women and as men. I feel that every week in Relief Society. One of the joys of my life right now is to conduct our Relief Society meetings and look at the faces of the women I get to know, serve and love. I look forward to it every single week. Third, it is my belief that Mormon women will not be ordained until Mormon women want to be ordained. 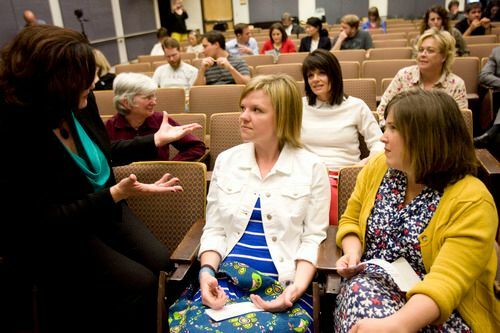 Right now, according to at least one poll, Mormon women don't want to be ordained. In the course of my lifetime I've heard all sorts of reasons--and I've said a lot of them myself--as to why female ordination is a bad idea. Many of the reasons are plausible, some of them are illogical but I want you three to know I've worked through most of them and they no longer sit right in my heart. The only reason why I think God wouldn't want to ordain women is because the majority of women do not want it. Many women say they've never felt ill effects of gender inequality in the church. I have a lot of thoughts about this sentiment, but mostly I hope we have many more conversations about this topic. To me, it's very obvious that regardless of how women feel in this organization, the truth is we don't have equal opportunities as women. And having gone through years of infertility, I believe we can do better by women in giving them more opportunities to serve using their skills and talents than relying on biological-based gender roles and circumstantial relationship statuses. But again, that won't happen until the women are ready to have those conversations. And the miracle of it is that we are starting to have those conversations more and more. We do have people like Kate and Ordain Women to thank for that. But I don't believe God doesn't intend for women to be ordained. There is no scriptural or doctrinal declaration proof of this concept. And certainly there is no harm in asking and praying for what is in your heart. After all, this is what lead to the beginnings of our church--and a pattern we often repeat--ask God for what you desire. Ask, knock, ponder, pray, have faith, have hope. There is no punishment in these things. If all three of you came to me unified in asking for something that you desired--and it was something that was inherently good and safe--I wouldn't turn you down. I think God is the same way. And for those of us who do want to be ordained, we will carry on in hope. We will practice charity for others and for ourselves. I want you to know where I sit with this issue tonight. It is my desire that by the time you read this letter, and we are talking about this history, you will have the opportunity to be ordained in our church. I want you to know that your mother was one of those who hoped and waited (not always with patience, to be honest, but I'm trying) for that day. And perhaps if this is the case, you will know that your mother made it public and will probably hear back from many disappointed people, but she couldn't put you to bed one more night without wondering if she were brave enough to write this post. Just like Kate wondered if she could get through that first meeting with all those butterflies fluttering around in her stomach. Just like all the women who came before you who had to step up and say something when they had the option to keep quiet. One more thing, I decided to tell my ward sisters in a Relief Society lesson I gave that I was struggling with this issue. Afterward, ninety year old Nina came up to me and said she didn't get it. Why would these Ordain Women want to be just like men? I told her that wasn't the case--it's a hope for more opportunities for women. She left me by saying, "I guess I need to open my mind." The next week in Sunday School as we were talking about the Old Testament she probed the teacher on why women were not allowed into King Solomon's temple. And in that moment I hoped maybe something about our conversation the week before sparked Nina's thoughts toward the plight of women--from past until the present. Of course, maybe I am just drawing my own conclusions. But it gave me courage to speak up more often. Mormonism is our heritage--it's in our bedtime stories and our daily rituals. It's in the way we worship and the way we hope. I am choosing to raise you in this belief system (albeit somewhat non-traditionally) because it can be empowering and enlightening. And I believe we're still shaping our doctrine. Perhaps we've known for quite sometime exactly what we want for the men of the church . . . and as for the women? It's my belief that we're just getting started.